Select from an array of New York cooking classes, and find one that best fits your budgetary and culinary needs. Find cooking schools and other venues that host some of the finest cooking classes NY has to offer. A Highly Rated (and Healthy) Chef in New York! A veteran New York City caterer, private chef, cookbook author, and cooking instructor; Karen Lee will teach you valuable culinary lessons that you will be able to utilize in years and years to come. Karen believes in using organic, vegetables, fruits, grains, eggs, and nuts in her cooking. All ingredients are hand selected. Cooking classes are offered Tuesday nights from 7-10 P.M., as well as Wednesday and Thursday mornings from 10 A.M. to 1:30 P.M. Also available are weekend classes. If you're planning a party or event in the near future, Karen Lee is included amongst the highest-rated caterers in Zagat New York. Catering options include such cuisines as traditional Chinese, Fusion, American, Italian, and Vegetarian. World Class Culinary Education in New York! Thinking of having cooking classes in New York? 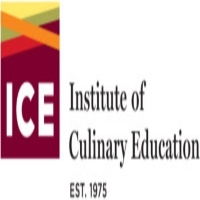 Then experience and learn world class cooking at the Institute of Culinary Education (ICE). One of the leading culinary schools in the country, the Institute of Culinary Education offers the best quality education with a wide distinctive variety of cuisines in its program. ICE for many years has been recognized and awarded as among the top culinary schools in New York and in the country. It offers a 6-16 month program and is supervised by highly skilled and trained chefs in the country. Healthy Food Can Be Delicious! Cooking classes in New York has never been this fun and healthy, until now. 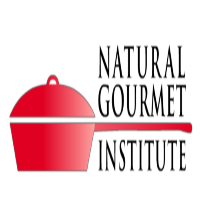 In Natural Gourmet Institute, you will be taught to incorporate healthy alternative ingredients to everyday cooking. Students will gain knowledge and expertise on natural herbs and grains, also they will have incites on ways of managing and preparing food for sick individuals and for those people who want to get in shape. Training programs are offered either full time or part time, depending on the convenience of the person. A variety of cuisines and techniques are taught in the institute, which covers Western and Asian cooking. Among the best culinary schools in New York, this one is well-known for teaching French cuisines. 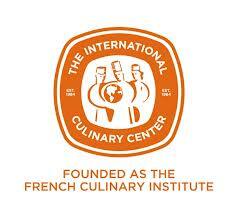 The International Culinary Center offers an efficient and healthy way of preparing food. With the farm to table program, it provides fresh and organic produce from the farm to the kitchen table ensuring that the products are of good quality and in pristine condition. The Institute today has expanded its program from French cuisine to culinary arts, pastry baking, and to wine studies, which is a 6 month program. It is no ordinary cooking class that you will experience in the International Culinary Institute, but you will be trained to think outside the box and innovate and experiment in order to make the best cooking yet. Experienced and highly regarded as one of the best chefs in New York, Janeen Sarlin offers cooking classes that fits to anyone's busy schedule. With the training that she offers, the students will be able to create and explore new methods and ways in preparing the best meal. Schedules for the cooking classes offered are on a monthly basis which falls every Wednesday from 6-9PM, or you can avail the special event cooking or private cooking lessons which are Monday to Friday or Saturday and Sunday classes. 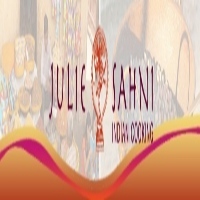 So come and experience the joy of cooking with Janeen Sarlin and be inspired to make the best meals. Taste Buds Kitchen is a family oriented and holistic institution that promotes creativity and a fun way of cooking, you can bring the kids and the whole family to enjoy baking and cooking delicious meals. 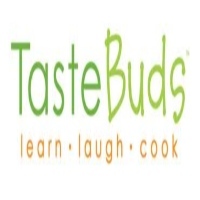 Taste Buds Kitchen is famous in New York, and was featured in CBS, NBC and the Wall Street Journal for its family oriented approach in teaching cooking. For more inquiries and details about the schedule go to the website and reserve the dates that you wish to join. So come to Taste Buds Kitchen and have fun with your whole family, here you can be creative and unique. Healthy And Fresh Italian Cooking! 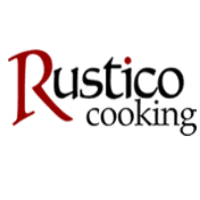 Enjoy cooking Italian cuisines at Rustico Cooking, where you will learn the techniques and discipline in preparing Italian food. Here you will be mentored by the skillful and renowned chefs in New York, like Micol Negrin and her husband Dino De Angelis as well as other talented and skillful chefs in Rustico. The cooking class is a 90 minute cooking session and then followed by a full meal paired with Italian wine. Schedules on Monday to Friday classes are at 6-9 PM and the Saturday classes are at 12-3 PM. So come and learn The best way of preparing Italian cuisine. Explore Your Creative Side of Cooking! 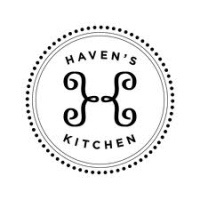 Here at Havens Kitchen, located in the heart of New York, guests will be taught to prepare healthy and delicious meals and also they will be encouraged to be creative and be bold with their ideas in making the perfect dish. All ingredients used by the guests are fresh organic seasonal ingredients and personally picked by the chef instructors. The guests are also encouraged to visit the farmers market and buy ingredients that are in season, in order to make them confident in using techniques learned from the class and for them to innovate and be creative with their cooking. For schedules on the cooking classes and rates of each session, please visit the website to see what sessions fits in to your schedule and what recipes you wish to learn. So come to Haven's Kitchen and explore the side of your creativity. Cooking With A Dash of Flavor In New York! Here at Appetite for Seduction you will learn to love and cook at the same time, you will discover the seductive side of you. Cooking classes focus on the ingredients that are aphrodisiac for enhancing the body and libido. Cooking classes will be mentored by Shani Delamor who is well-known for her unique ways in hosting dinner parties and cooking classes, and with her partner Joel Delamor a skillful veteran and well-experienced in the field of preparing sensual cuisines and world class delicacies. Services offered by Appetite for Seduction range from bachelorette parties, private, group classes and many more. For more information see the website and make your reservations today. Learn To Cook Delicious, Healthy and Fresh Food In New York! If you're looking to try something new, something fun and worth all the effort, then enroll at Miette Culinary studio, they offer recreational cooking classes that teaches you to prepare world class authentic meals and will be trained to become creative and explore the many different possibilities of preparing a great meal. The guests will be taught and mentored by Paul Vandewoude, a highly skilled and seasoned chef veteran and amongst the renowned chef sin New York and also the studio has many skilled and experienced chef instructors, ready to train and mentor the guests during the session. So make your reservations today, invite your friends to enjoy and have fun with cooking. For more information on Miette Culinary studio and the schedules and rates of the cooking classes, please visit the website for details. Award Winning Cooking Teacher In New York! Cook book author and an executive chef in two Indian restaurants in New York, Julie Sahni shares her skills and expertise on Indian food by opening a cooking school and to this day the school garnered awards and recognitions for its excellence and the overall performance in offering unique and exquisite cooking classes. Programs offered in the cooking school are intended either for professional and non-professional cooks. Sessions are offered in two ways, one is a two day intensive program with 17 hours of instructions and a three and a half day comprehensive program which includes 27 hours of instruction. Both courses emphasize on the utilization of aromatic herbs, spices and the techniques in the preparation of the food.